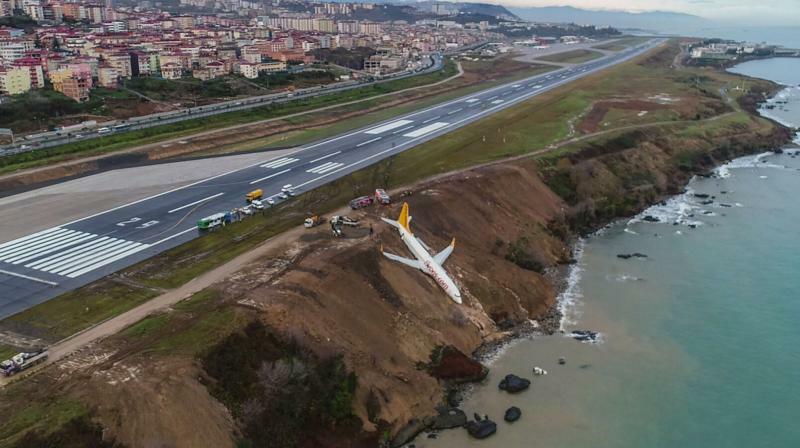 Ankara: A passenger plane late Saturday skidded off the runway just metres away from the sea as it landed at an airport in northern Turkey, local media images showed. Pegasus Airlines confirmed in a statement on Sunday that there were no injuries among the 162 passengers onboard as well as two pilots and four cabin crew after they were evacuated. One of the passengers, Fatma Gordu said panic erupted onboard during the landing.